Rubio Monocoat Training at Meteek Supply! 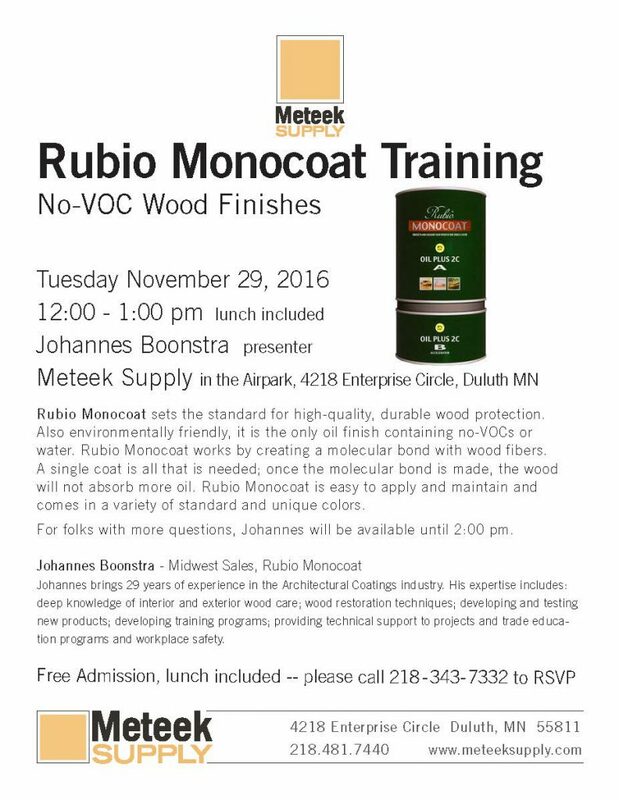 Rubio Monocoat Training at Meteek Supply is coming up on Tuesday November 29, 2016. Johannes Boonstra will be on hand for a lunch-time training session on Rubio Monocoat, an amazing no-VOC wood treatment. Bring questions! Lunch included. 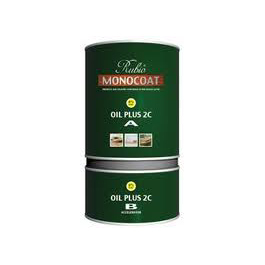 Developed in Belgium, Rubio Monocoat Oil Plus 2C is a next-generation finish that colors and protects your wood in one single layer. With no VOCs, this is a safe and durable product for any wood finishing need, from children’s furniture to wooden flooring. For indoor applications on wood, Oil Plus 2C is a dual component product. It consists of RMC Oil Plus (A) and RMC Accelerator (B). The combination of the oil and the accelerator ensures a quick dry, quick cure and superior protection. Due to its advanced molecular bonding technology, Rubio Moncoat offers long lasting protection. Surfaces treated are easy to maintain. Through this molecular bonding, less product is needed in application. Surplus product will no longer be accepted by the wood, so overlaps or starting marks are avoided. This results in a durable coloring and protection in one single layer. The unique oil pigment technology allows an intense and deep coloring in one coat, without compromising the natural look and feel of the wood. Rubio Monocoat oil doesn’t contain any water or solvents an is based on natural ingredients. This means that the product is very safe to use, but equally safe for your environment. Rubio Monocoat protects and colors your wood in one single layer.